The Chicco Bravo LE earned better than average scores in most of our tests, but it would have scored higher overall had it not earned a disappointing score of 3 for maneuverability. Because the stroller is difficult to push and a struggle to turn and negotiate various terrains, its low score in the one metric brought down its overall average and left us not liking this product as much as some other Chicco gear we have reviewed. While it is an easy to use stroller that has some nice features like a child tray and larger storage bin, it isn't enough to turn the tide in its favor. Enrico Catelli launched the Chicco (pronounced kee-ko) company in Europe. Chicco is now one of the most popular baby product brands in the world with products sold in more than 120 countries. Chicco is now part of the Artsana Group. This comparison chart shows the overall score of the Chicco Bravo (blue) compared to the competition in this review. The sections below provide all the details of the Chicco's performance in each metric during testing. The Chicco earned a 7 of 10 for ease of use which is 1 point lower than the high score of 8 earned by the similar UPPAbaby Cruz. The Chicco has a one-handed fold that can self-stand. It does not auto-lock or have a carry handle or strap for easier transport. This stroller only requires 2 steps to fold. The self-stand is stable, but the foam handle might be damaged over time and will get dirty from sitting on the floor. The unfold requires two hands, but it is super easy to operate and only 1 step. The brakes are single action and easy to set, average to release, and sandal foot friendly. We were able to get the brake to skip across the cogs of the wheel without locking into place, which means parents can think they have set the brakes when they haven't. In testing, we also had the brakes release themselves at different points when we put weight in the stroller. The storage basket on the Bravo is large and fit our extra large bag. This stroller has a large storage bin that fit our extra large diaper bag. Accessing the bin is easy because it sticks out relatively far in the back, but is only accessible from the rear. It has a maximum weight limit of 10 lbs in the bin. This stroller also has a parent console and a child's tray. The console has 2 shallow cup holders, a very small zippered pocket, and a small canvas pocket. These pockets are almost useless with one of them unable to hold anything larger than Chapstick. The weight limit for this tray is 3 lbs. The child tray has 2 cup holders and a small section for snacks. The cup holders on the parent tray are enclosed and non-removable. They can hold items like keys and mobile phones and are compatible with baby bottles, sippy cups, and water bottles. The child's tray is also compatible with the different bottles we tried, though the water bottle is less secure in the holder and tended to fall out depending on terrain and speed. The Chicco has a large canopy that has no SPF listed. It offers ventilation and it has a small mesh peek-a-boo window. It also has a kick out visor for increased protection from the sun. The Bravo harness is difficult to remove. The Chicco has a 5-point harness that we felt was easy to put on, but sort of difficult to remove. The shoulder strap length is easy to adjust and there are multiple shoulder height positions, but the crotch strap only has one position. The buckle itself is fairly easy to use, but the release button is stiff and hard to push. The recline feature on the Bravo is easy to use even if it doesn't have as good of range as some others. This stroller has a padded but not adjustable leg rest. The footrest is wide, plastic, and relatively shallow. The seat back has a nice recline that is operated with one hand and a simple button push; it is one of the easiest in the group. The Chicco Bravo comes compatible with the Chicco Keyfit 30 only. You can attach the seat with the toddler stroller seat installed or removed. When you remove the seat, it will take the canopy with it, but this is ok because the car seat comes with a canopy. Without the seat, the stroller frame weighs just about 18 lbs. The Keyfit 30 clicks easily into place, and we didn't have any problems installing it correctly. It isn't as easy as installing the Chicco on the Bugaboo Bee 3 because the foot of the car seat tends to get caught on the stroller frame. Once installed it is only average for seat stability. Chicco does not offer any other adapter for this stroller, which limits your car seat options significantly. This stroller is average for ease of setup, and it took us 9 minutes and 45 seconds till it was ready to roll. The documentation is only average. The rear wheels still use the cotter pin and washer to attach them to the frame, which is an old-school design and takes extra steps to complete. The instructions do not cover how to attach the canopy, so you will be on your own. Chicco really struggled in our tests for maneuverability, and it is this metric that prevented it from scoring higher. This stroller only earned a 3 of 10. This is exactly the opposite of what parents hope for in a stroller. The Chicco is one of the hardest to maneuver for pushing and turning. It does fairly well in tight spots, because of its size, but it is still slower. It requires two hands to push, and the turns took a lot of effort. It is narrow enough to fit through tight spaces, but it takes more work to push it over grass and gravel, in fact, some testers found it nearly impossible. We also couldn't get it to push over a 1-inch curb; it fell into the grate during testing and nearly tipped over. The Chicco earned a 7 of 10 for weight and folded size, which is higher than average. The Bravo LE weighs 23.9 lbs and measures a little over 11,000 cubic inches. This is higher than average in the weight category and lower than average for the folded size. The stroller is large, heavy, and the child's tray sticks out making it hard to fit in some trunks. It is easier with the tray off, but it still isn't as easy as the strollers that fold flat. 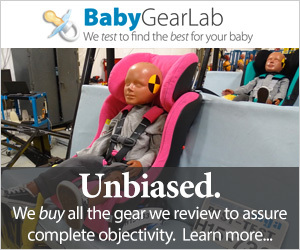 The Chicco earned a below than average score for quality. The Chicco earned a 5 of 10 for quality, which is just below the average. The highest in the group is 8. The top layer of the seat is a very soft fabric that is nice to the touch and similar to a jersey T-shirt material. The padding is removable and looks like it might snag easily or wear poorly over time. The lower layer is a similar fabric, but it is somewhat textured and not as soft as the top layer, but it appears to be more durable. The canopy fabric is a stronger canvas material. The storage basket is made from a thin material that looks fairly flimsy and has strips of mesh running along the top of each side. The peek-a-boo window on the canopy is made of a loosely woven mesh that we could not snag. The frame on this stroller is a clean looking frame. The stroller we purchased developed scratches fairly easily, and after limited testing already has a significant scratch. There is a little flex to the frame, but it isn't as bad as some of the competition. The overall fit and finish of this stroller is one that is relatively cheap looking and feeling. The wheels on this stroller are some of the cheapest in the group and are foam filled plastic. They have the old style bushing with a press on end cap. These wheels do not feel like they will last very long, and if they do manage to hang in there, they probably will lose their ability to roll nicely. The handlebar on this stroller is height adjustable but the range is limited. We didn't care for the feel of the handlebar or the way it fit in the hand. This stroller has 4 wheel shocks, but they are not adjustable. The comfort of the ride is limited given the stiffness of the shocks and the harder seat bottom. The padding is fairly good as long as you use the extra padding, but without it, the ride is not that comfortable.